Saber Wynter is running from her past when she meets ex-Navy SEAL and Ghostwalker Jess Calhoun. But the riddles of both their pasts are about to collide, shattering the promise of their future with the ultimate betrayal. 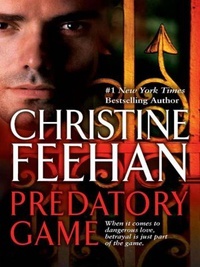 Feehan tem mais de 30 romances publicados e é a 1ª New York Times bestselling autor.Seu romance de estréia, o Príncipe das Trevas, publicado em 1999 ganhou três Prémios de Excelência Paranormal da Literatura Romântica (Pérola)nesse ano.